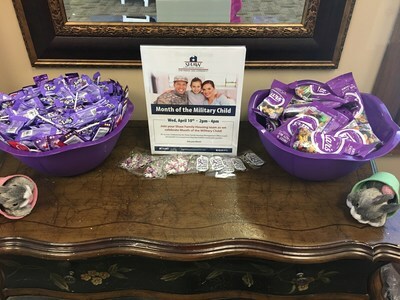 EL PASO, Texas, April 8, 2019 /PRNewswire/ -- Hunt Military Communities (HMC) this month launched a company wide initiative supporting the Month of the Military Child. Held every April and celebrated nation-wide, the Month of the Military Child is a time to honor the sacrifices made by military children worldwide. 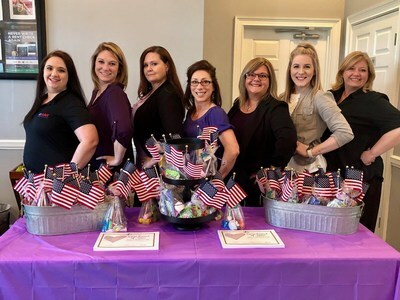 HMC and affiliates of Hunt Companies will continue to spend the month of April celebrating the military child with special events and programming across all HMC properties. "Every April, the Month of the Military Child gives HMC the opportunity to celebrate the youngest members of our communities. The smallest warriors, the children, often make some of the biggest sacrifices moving from state-to-state, having parents deployed for long periods of time, along with many other challenges military families face," said John Ehle, Hunt Military Communities' President. "We are proud to acknowledge and support the tremendous strength and resiliency children of our military families display and I'm proud to support HMC's programming throughout the month." Over the course of the month, HMC will host child-focused events at all of its communities including programs such as art contests, ice cream socials, parades and more. 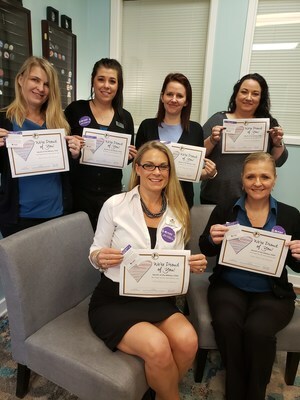 HMC employees will also proudly wear purple buttons to demonstrate support throughout April as a way to show the Company's appreciation for the children of military families. In addition to wearing and distributing buttons, HMC employees will distribute cards explaining the significance of dandelions as the symbol of military children. Much like military children, the dandelion is a plant that puts down roots easily and flourishes anywhere – resilient no matter where it lands. HMC employees will also wear purple on designated days as another show of support. The color purple indicates that all branches of the military are supported; Air Force blue, Army green, Navy blue, Marine red, and Coast Guard blue all combine together as a single color, purple. For more information about HMC events and how to participate visit www.huntmilitarycommunities.com or our social media accounts, which will feature special Month of the Military Child themes to call attention to the nation-wide initiative. Hunt's Military Communities division is a 50-year partnership created between the Department of Defense and Hunt through the Military Housing Privatization Act. As part of the partnership, Hunt owns approximately 52,000 units spread across more than 40 military installations on Navy, Air Force, Marine Corps, and Army installations and is the largest privatized military housing developer in the nation. To access additional information on Hunt Military Communities, please visit www.huntmilitarycommunities.com.